From tiny one-person cubicles in underground stations to camping tents under towering skyscrapers and even karaoke clubs: in workaholic Japan, salarymen are never short of a place to work. On the pavement in Tokyo’s Marunouchi financial district, groups of businesspeople clutching laptops sit on pillows around a low table... in a camping tent surrounded by shimmering glass buildings. Yasuyuki Minami, who works for the Japanese arm of software giant SAP, said the unusual surroundings sparked new business ideas. His boss agreed that "we tend to have fixed and stereotyped ideas when we are in the office." 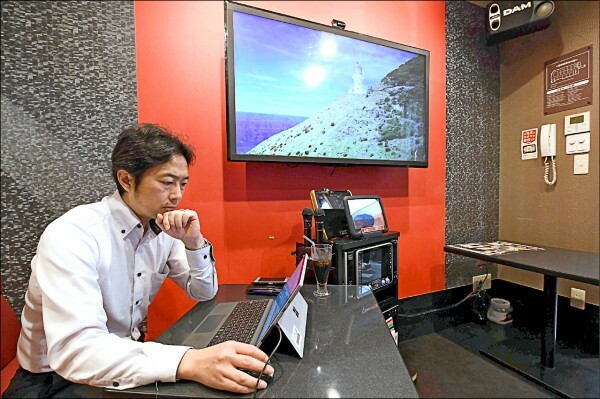 Daiichikosho, Japan’s biggest karaoke operator, from April 2017, also opened up its singing rooms for office space at 33 outlets close to business districts in big cities. For 600 yen per hour, users can display images directly from their laptop computers onto the big screen on the wall. Shy people can also practice business presentations using the microphone and a white board － all in a soundproof room.